Accounting Illustrated is back with a second installment: Technology in the Tax Department! In each episode, we bring the latest accounting and finance insight to life with hand-drawn depictions of what’s shaping the industry. In this episode, we discuss information from our recent Tech Tax white paper. To comply with rules and regulations (like Sarbanes-Oxley Act, the Dodd-Frank Wall Street Reform and Consumer Protection Act) companies are investing in tax technology. By putting everything in one place, data warehouses are of huge value to companies. Of companies with over 1,000 employees, 71-percent rely on multiple financial systems from multiple vendors. In this episode, we also address the great debate for business leaders: to host or not to host? Companies must decide between hosting data on their own local servers or working with hosting providers. We weigh the pros of each to help you decide! As new technology fills the tax department, the need for tech-savvy finance professionals is growing fast. Finding a specialist that can properly use these technologies can give any team a clear advantage during tax season and all year long. A tech-savvy tax specialist should be able to understand how technology integrates with enterprise software, ensure that automated reports are clear and accurate, as well as have the business knowledge to speak the language of the boardroom.We at Accounting Principals can help you understand all of the technology impacting the accounting and finance world, and supply you with tech-savvy tax specialists to complete your workforce! 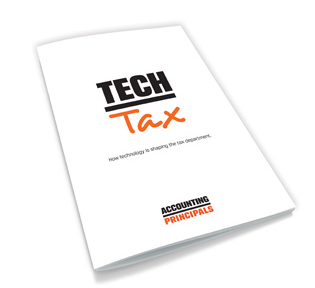 Don’t have a copy of our Tech Tax white paper? 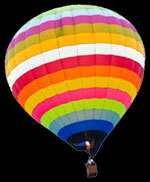 You can request one on our website! Watch Accounting Illustrated: Technology in the Tax Department below, and leave your feedback in the comments!